When you are stuck in the middle seat on an airplane, it is an unspoken rule that you should get dibs on both armrests. If you are the victim of armrest theft, there are a couple of things you can do. Avoid a confrontation and be uncomfortable, or come up with a way to reclaim the armrest. The gentleman in the clip below has a bit of a more aggressive tactic. 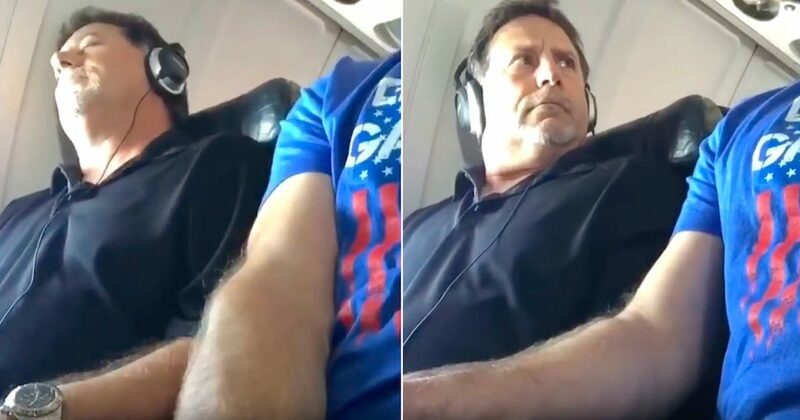 The frustrated man was sitting in the middle seat on a long flight, and says, “The passenger next to me kept hogging the arm rest and did not allow me to place my arm on it.” He went on a mission to reclaim what is rightfully his and posted the hilarious results online. The expression on the man is priceless when he realizes the armrest has been stolen from him.